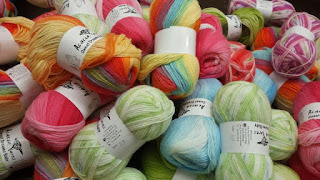 Let me introduce you (or reintroduce you) to another of my favorite yarns. Filatura Di Crosa Superior yarn is a luscious blend of 70% Cashmere and 30% Schappe Silk - this yarn is irrestible when touched! Superior yarn knits to a gauge of 6 sts = 1 inches on a recommended US #4 (3.5 mm) needle, although many garments are knit loosely using this yarn and have a beautiful drape and handle to the finished item. Recommended care for garments made with this yarn is to hand wash and lay flat to dry. Each skein weights 0.88 oz (25 g) and has a length of 330 yds (300 m) which results in a lightweight garment from this soft and airy yarn. Not sure what to make with this yarn? Here are three free patterns to get your creative juices flowing. A great project for all levels of knitters is the Ruffled Collar Pullover. This ribbed sweater is an easy knit using the beautiful Superior Cashmere/Silk yarn. This sweater is knit loosely using a larger needle than normally required on a US #7 making this a fast knit project. And, if the scrumptious yarn and the ease of the pattern didn't convince you, the pattern is sized from a 37 - 52 bust (94 - 132 cm)! This is a gorgeous design and perfect to wear anywhere including fancy events, out to dinner, to work or just if you are in the mood to wear a lightweight sweater. 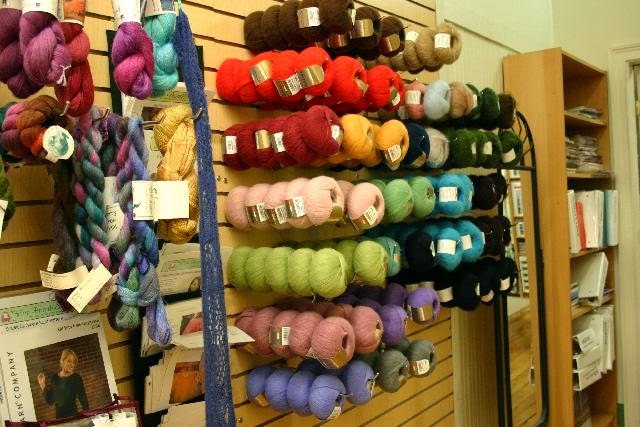 Entire garment is worked on one needle size - US 7 (4.5mm) 24 inches long and calls for 3-4 balls (3 balls for size 37 and 4 balls for remainder of sizes up to a 52 bust) of Filatura Di Crosa Superior Yarn in your favorite color. More amazing patterns from Filatura Di Crosa Superior Yarn are the Diamond Ruffled Scarf and the Lacy Sampler Scarf - each of which require only one ball of yarn! The Diamond Ruffled scarf features a repeating pattern creating a light and airy accessory. Finished scarf measures 72 inches long x 7 inches wide (183 x 18 cm) and this is a beautiful scarf made using only one ball of Superior Yarn. This scarf calls for a US 6 (4 mm). The Lacy Sampler Scarf is a great study in lace. All lace knitters will enjoy this pattern which is both beautiful and the Superior yarn adds a beautifully soft yarn to the mix - you won't want to put it down! New lace knitters will enjoy learning lace techniques while sampling the different stitch patterns and having a beautiful scarf as the outcome! Scarf is knit on a US #7 (4.5 mm) needle. And don't forget....we are offering a special on all open project classes - mention this newsletter and receive (7) classes for the price of six when signing (or resigning) up to your classes. This special will continue through the end of April and is available for all class signups of the open project classes which run seven days a week - new or continuing.